Author of this blog, here you will find my musings, my ideas, Paris fashion, places I love, things I test, things I taste, travel tips, inspirations and more… all surrounding the obvious theme and my muse : Paris, France. Auteur de ce blog, vous trouverez ici mes réflexions, mes idées, la mode à Paris, des endroits que j’aime, des choses que j’essaye, que je goûte, des conseils de voyage, mes inspirations, et encore… tout cela autour du thème évident, ma muse : Paris, la France. Intriguing. What kind of blog post where you looking for? Anything in particular? Other than the obvious subject of Paris! 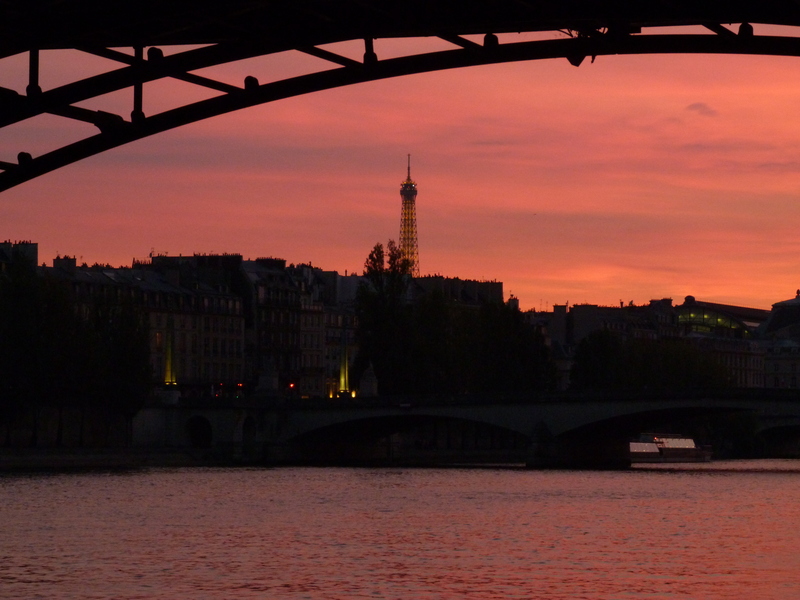 I’d like to invite you to become a contributor to The Paris Blog. PLease contact me to discuss! I may have some material suitable for the ‘romantic section’ of your blog. Head over to my site and let me know what you think. Ian, I don’t normally care for others self promoting on my blog comments, but um.. that little blond boy on the front page of your site is so adorable, eating a macaron, wide, eyes and a crumb hanging from his mouth… I couldn’t resist and believe everyone should see it! LOL! I want one JUST like that! To be honest I wasn’t trying to self promote. I was simply wondering if you’d like to do an article as I thought it may be of interest to some of your readers. I couldn’t actually find your contact details on the site so simply figured that a comment would be the best way to reach you. Anyway glad you like the little boy enjoying his macaron! My name is Franki Goodwin, I am one half of Mademoiselle London – an art and poetry duo based in Paris who write and draw about this wonderful and infuriating place – and we’ve just self-published a book. I’d love to send you a copy with the hope that you might love it and be compelled to tell your readers about it (a perfect xmas gift for any francophile!). Please send me your postal address and I’ll get one out to you, I could even deliver it myself if you had time for a quick coffee? I know that you have thousands of ideas, but if you want to use some of my contacts for your blog i will help you with a great pleasure. Thank you Fred! I will definnately look into this designer. Merci! Hope you enjoyed a good glass of hydromel! thought I’d email you again to be on the safe side. The website is dedicated to stylish shoes that start from size 2+, the site has some good brands and has a style to suit everyone. I have been looking around your website and I would really like the opportunity to write a guest post for you! work well for your readers. * How fish can get your feet looking great . . .
Hi, where can I e mail you to invite you to my exhibition? you have a lovely blog here. i’m planning a visit to Paris in January’12 and it will be my third time, so i was looking for new places, cafés, bars, little shops, etc. and i think i found what i was looking for. thanks! Well I am glad you have found what you needed Lunchetta! i love your blog ! it’s very interressant to see how the american see the France and Paris of course. if you want i would like to speak with you !! I’m writing to you about your blog Prete Moi Paris as the quality of your work is very interesting to us and our publication. We are Paris Select Book and we work in partnership with 130 luxury hotels in Paris as publishers of a luxury guide book on Paris. In a few days, the Paris Select iPhone and iPad application will go live. We have been working alongside other media organisations to get as much publicity and exposure for the event as possible. This innovative and unique application has already caught the attention of several large organisations in Paris (Opéra de Paris, le Palais des Congrès de Paris, les Galeries Lafayette, les Cars Rouges) so we truly believe that this is going to be a great success. If this sounds like something you would like to be a part of, please let us know because in the next few days we will be sending out our press kit and a preview of the flash code for the application that you will be able to download for free. We hope that in reading about our publication both in the press kit and on the application that you will see the same kind of quality that we have recognised in your own work, and that perhaps you would be willing to write an article about us. In return we would be more than happy to promote your site throughout our own social networks (Facebook, Twitter). Thank you for following my blog and right back at ya! Thanks for that reminder Greeneyesmom! I AM pretty lucky!!!! I have just started reading your blog and it is very inspiring. I have traveled in Europe and been to Paris twice and so reading your blog brings so much memories and inspiration. I hope you keep blogging more about every streets and corners of Paris with pictures and videos of course. Also, may I know what you do for a living in Paris? I have done a lot of research finding employment in Paris and it has been reported by many that Paris has the highest high unemployment rates and that it is even harder for foreigners. Anyway, I would love to hear more from you. I love your blog. I’m in Paris for part of the summer and I love getting ideas from your site. Thank you! Merci BEAUCOUP! Your comment just made my day! Hi Melissa, I just read one of your articles (?) on Expat Paris entitled « Allo Quoi » and Im wondering if you know of any special workshops or meetup groups or networking groups or ANYTHING that can help other anglophones with professional politeness in french ranging from the phone to emails. Maybe even tips on setting up meetings. I oversee interns that come over from the States and seeing as how I only have 2 years here, even I, have trouble navigating these choppy and super frustrating waters. Thanks in advance for any help you can give me!! All the best! I stumbled upon your blog and LOVE it!! My name is Ruthie and I’m currently living in Florida. One of the places that I would love to visit some day is Paris! It’s always been a dream of mine to visit Paris and indulge in it’s culture, people and food. I’m looking to connect with you on FB and Twitter!! I’m starting to get into the Travel Industry and would love someday to become a travel blogger. My blog is in the middle of being designed and can’t wait to share my experiences of living in Florida as well as traveling with my husband around the world! I will continue to visit your blog daily for inspiration, stories, experiences and much more! I came across your blog and absolutely love it! I also studied abroad in Paris- had the very spoiled opportunity to live in the 6th district thanks to distant relatives who are still in Paris. You provide practical yet fanciful tips and advice to living and shopping in Paris which is super awesome 🙂 Thank you for having this blog. Are you looking to connect with fellow Paris writers? I write on the study abroad angle about the immersion into French language and culture as an Anglophone. This is a blog that I will check often. Jeroen, your video is lovely! Thank you for sharing. Do you have a twitter account? Trisha, thanks foe reading and commenting! There are other kosher bakeries in Paris. I know of one on rue Jouffroy D’Abbans in the 17th called Charles Traiteurs. I just discovered your website and I love it very much, it is very rich and you give a lot of interesting information about the France and French people! With my two colleagues we are French teachers who give Online French lessons and write a blog to help students know how they can take advantage of Online Resources to learn French. Like a lot of our visitors are interested in reading about the France, French habits and things like that, we would like to create a cooperative link between your site and the ours. Mainly we are thinking of sharing the link of your site on our blog (and we would ask you to do the same) but if you are open to publishing an article about our activity, it would be really a pleasure for us! Hello, I find your blog very cool. I like the way you tell stories. I was wondering if there were an E-mail or a platform where I can contact you. You see this summer, I’m planning to launch a photo souvenir action in Paris. I ould tell you more about it. In the mean time, Keep up. My company Walk My Steps (https://www.walkmysteps.com) provides private tours in Paris for travellers and locals. We also would like to develop our own blog focused on Cultural topics in Paris and are looking for native foreigners to help us…. would you be interested in discussing a potential collaboration?